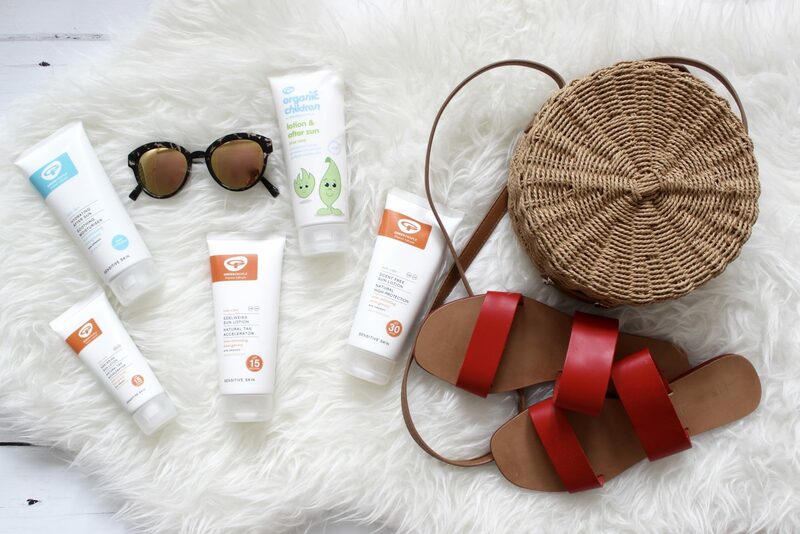 The lovely team at Green People have very kindly sent us a bundle of sun care products to try out as well as two to give away! You can scroll to the bottom of this post to find out how to enter the giveaway. Both me and the children have sensitive skin so we do have to be careful what products we use on our skin. 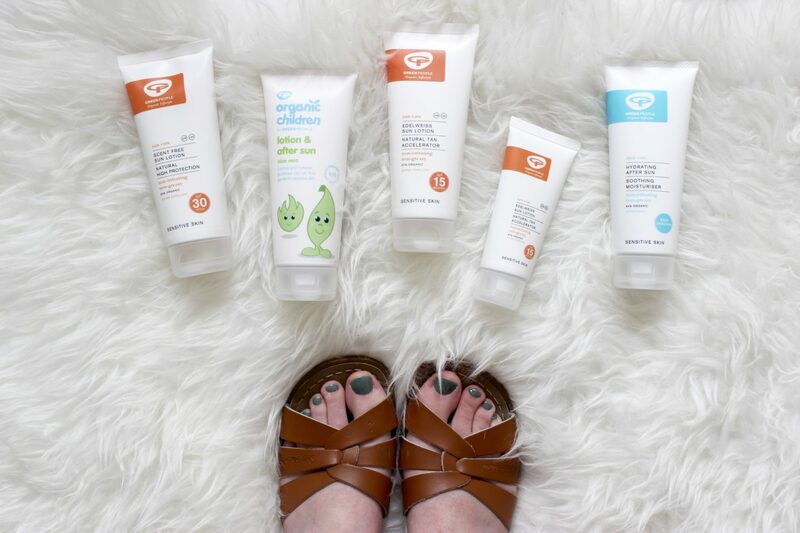 If you’ve visited my blog before you will know that we are big fans of Green People and have been lucky enough to try quite a few of their products over the past couple of years. We always find that they are kind to our skin and don’t cause any irritation, which is especially important for my son Max who has eczema. 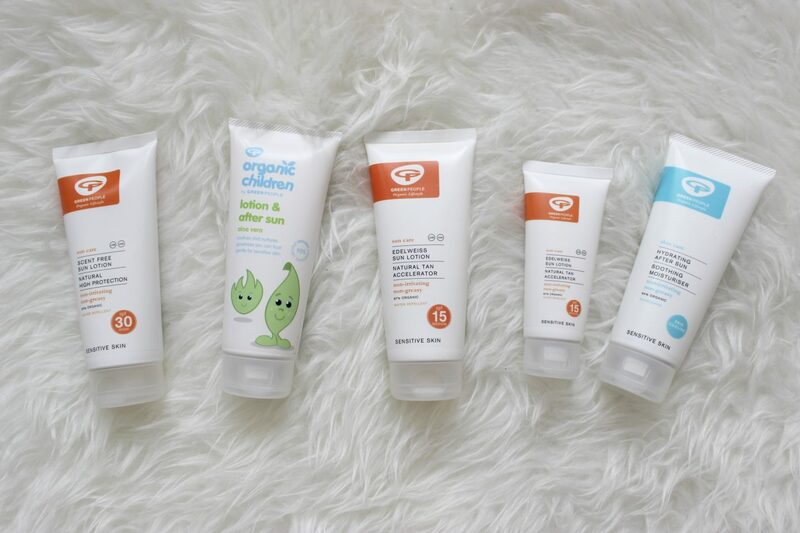 We actually reviewed Green People’s scent free sun lotion and Organic Children sun lotion back in 2016 and loved them so much that we’ve used them ever since. You can read that review here. Green People products are organic so contain only natural ingredients and no nasties. This makes them perfect for those with sensitive skin and as I mentioned earlier they are great for people prone to eczema and psoriasis. As well as being organic, Green People are also a cruelty-free brand which is something that is very important to us as a family. They never test on animals and when manufacturing their range of sun lotions they avoid the use of chemicals that may cause harm to the marine environment. We have been using this lotion for the past couple of years and love it. I really like the formula which is non greasy and sinks into the skin really quickly. This is one of the main things that I look for in a sun lotion as I hate that sticky, greasy feeling a lot can leave you with, even when they claim they won’t. This is a new product to me and one that I have enjoyed trying out over the past couple of weeks. It helps to maintain your tan and prevent peeling, which is great as I always peel! I have been using this even on days when I haven’t been out in the sun much as it can also be used as a daily moisturiser. I love the cooling effect it gives and it always leaves my skin feeling soft and smooth. 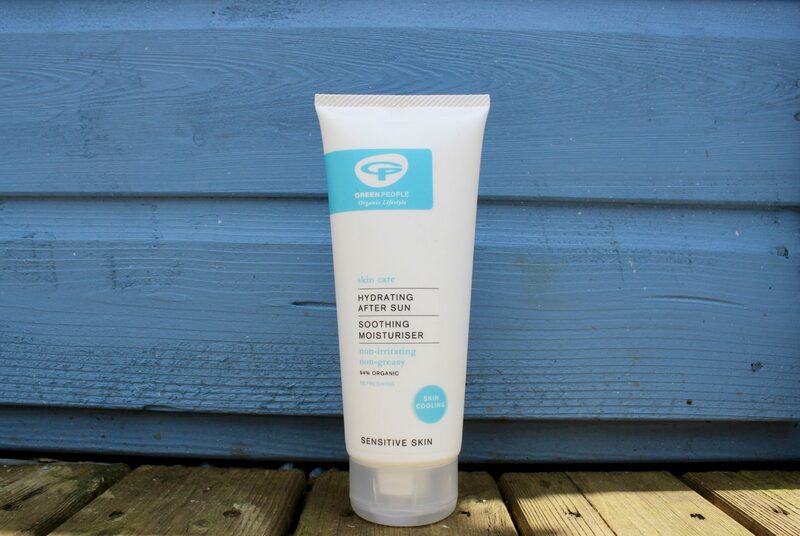 Green People’s tan accelerator with SPF15 claims to give you 25% more tan, and a tan that lasts 50% longer! I have very fair skin which burns easily and doesn’t usually tan so I may not be the best person to test this product out. 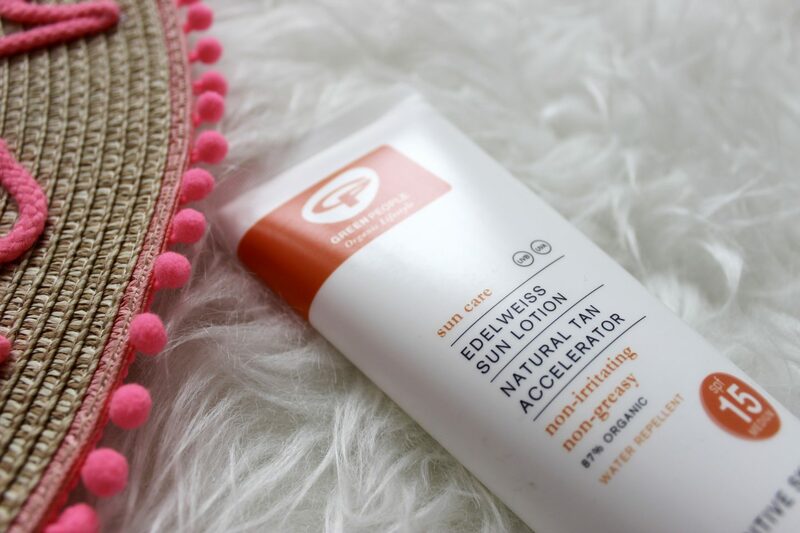 But I have to say, I am definitely noticing a nice glow on my skin at the moment and I’m excited to continue using this throughout summer to see how well it works. 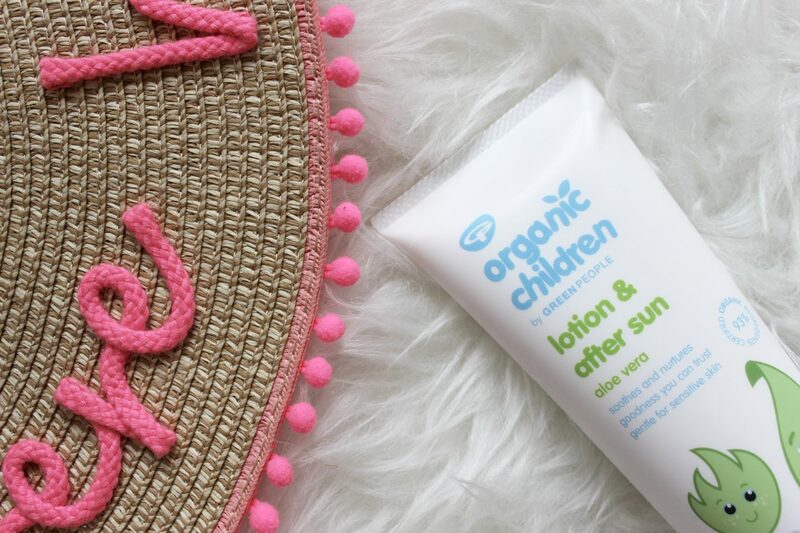 We tried the Organic Children sun lotion a couple of years ago and really enjoyed using it but this is the first time we’ve tried the after sun lotion. Organic Aloe Vera, Calendula, Myrrh & Lavender help sooth little ones skin after a day in the sun and keep it feeling soft. I find that the sun can really dry my children’s skin out so this is great for keeping it hydrated. 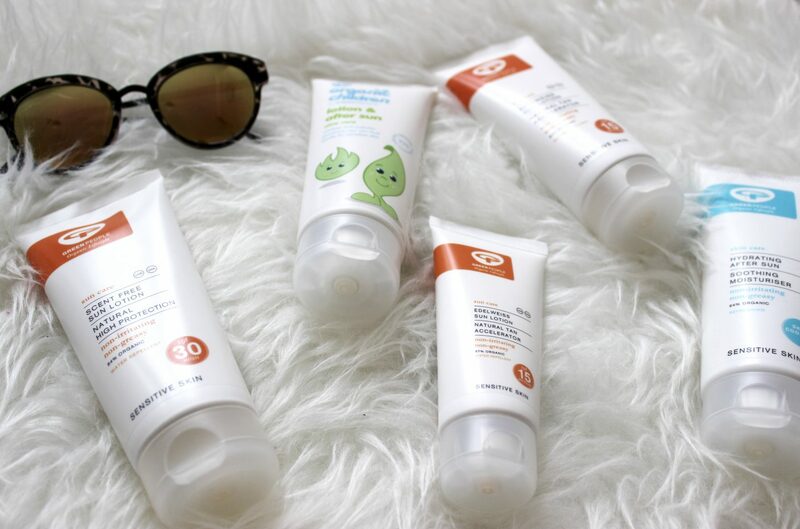 I have two Green People sun care bundles to giveaway, each worth £89.50. To be in with a chance of winning one simply enter via the rafflecoper form below. The competition will end on Sunday 1st July at midnight. The winner will then be contacted via email, please respond with your address details within 30 days or a new winner will be drawn. Good luck! Check out my other competitions here. Such a fantastic giveaway! I love the hat as well in the top picture! What a great bundle for summer, I would love to win. I can’t emphasis how vital sun care is and from the earliest possible age. My husband never wore suncare as a child, in fact he didn’t even know it existed as his parents never bought it or offered it to him. Yet he lived by the sea and spent his summer days playing on the beach in just shorts. Last year he had to have a large skin cancer removed from his back. So please, please PLEASE don’t neglect the sun cream! Lovely prize for Summer, thank you for offering it. This is a great selection, We get through so much sunscreen. This is a super handy prize bundle for the summer, It really is so important we keep protected from the sun. What a great prize for all the family for the summer! this is a great set. I always make sure my family is protected from the sun and it is so important to remember that you also need to wear protection from the suns rays even when sitting in the shade. Great giveaway. I have recently added sunscreen to my daily face care regimen, even when it is overcast. It’s become a habit now, but a good one. These goodies look perfect for our family,thank you. Really nice company. We’ve all got ridiculously sensitive skin so would be well worth a shot! What a fab giveaway! Perfect for the summer! I burn really easily so would love to win this to protect me in the sun! I absolutely love Green people products, would love to try more in the range ? At last an organic sun cream, well done once again, Green People. Many thanks for this great giveaway. 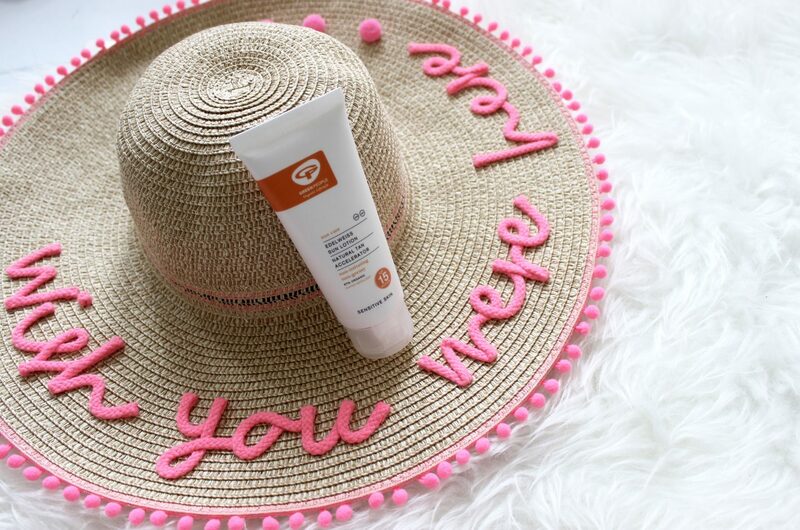 Sun protection is so so important. need all the help i can get with my pale skin! Great prize! Thank you for the chance. I love the Green People range! Their sun cream is the only one that doesn’t bring my son out in a rash. It’s fab! Much needed in the current heatwave! Great selection, perfect for this weather. What a fab collection of products to keep the whole family safe in the sun!! It is great to know that Green People products are organic. We need this in our house – especially me! I have such sensitive skin, plus we have a 13 year old who needs to protect her skin too.